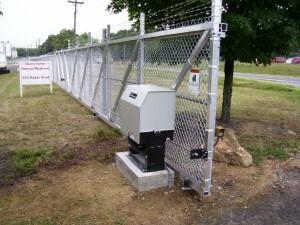 Looking for commercial gate openers or gate operators? Secure Access Services can help you with your needs. Since 1999, Secure Access Services has helped leading companies, government agencies and organizations in North Carolina, South Carolina, Georgia, Maryland, Virginia and throughout the East Coast make certain that their facilities and properties are secure. We have experience installing and maintaining security systems, gates and gate operators from leading manufacturers such as Doorking, Hy-Security, Liftmaster, Viking Access and many more. We know that your business is valuable. Your team, your physical assets, your products. They are the heartbeat of your company. But is everything as secure as it needs to be? Can you keep out those that shouldn’t be inside your operation? Can you protect those assets to make sure you can meet the needs of your customers? Finding the right security gate and commercial gate opener can make all the difference in protecting your business from those intent on doing harm. And that’s where working with a knowledgeable, qualified partner to help you find the best commercial security gate opener for your business is critical. The Secure Access Services team will work with you to create the right security solution for your business. We install and maintain gate operators, gate safety devices, control devices, turnstiles and more. And, we can help you maintain your commercial gate opener so you keep it in working order for years to come. Be sure to check out our photo gallery of commercial projects to see examples of some of our recent work. If you have questions about commercial gate openers, contact us at our Raleigh, NC offices at (919) 773-8889 to speak with a member of our team or request a free estimate online today. We’ll be glad to help you with the purchase of a new commercial gate opener, find a replacement parts for your commercial gate opener or service your existing gate opener.